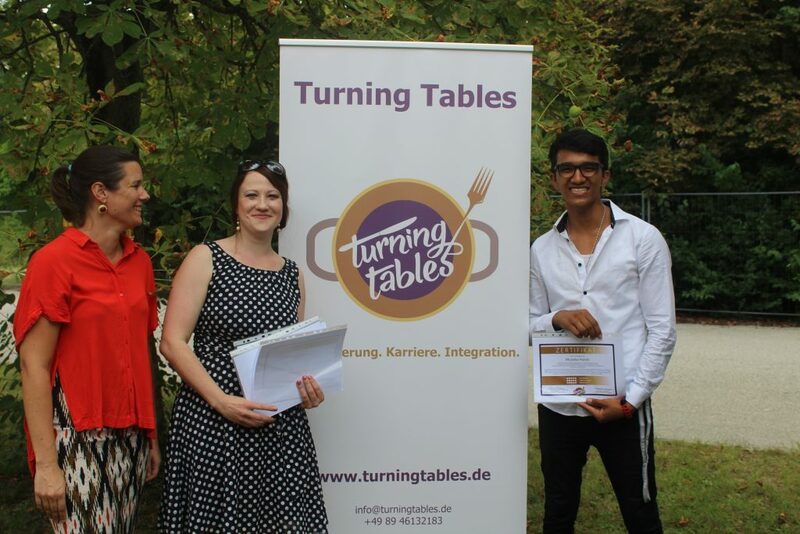 13 weeks ago, I started Turning Tables’ training program “Step-IN” which prepares you to start an apprenticeship in the hospitality sector. Today is the first day of my apprenticeship as a hotelier at Hilton Munich Airport. If someone would have told me this three years ago, when I was trying to cling on to the broken boat in the middle of the sea that brought me from Turkey to Greece – I would have not believed a single word. And yet: here I am. This month, I will share with you what I have learned and experienced during this turbulent time, and how everything eventually fell into place. So follow me, on my long journey of transforming from an aimless school drop-out from Kabul into an ambitious trainee in Munich. Growing up, I lived with my family and 5 brothers in the capital of Afghanistan, Kabul. For 7 years I went to school, Saturday to Thursday, every day from 1pm to 5pm. Friday was our day off. When I was 14 years old, my older brother got into a horrible family feud. He had fallen in love with a girl whose family belonged to a different ethnic group than us. They were Pashtuns, we Hazara. Many Pashtuns regard Hazara as a minority, who should not have anything to do with Pashtuns. My brother’s love for that girl therefore brought irreversible shame on her family. In their eyes, losing their daughter to a Hazara meant to have lost her forever. When her family found out about the relationship, my brother didn’t hear from his girlfriend for weeks, had no idea what had happened to her. One day he heard that she had been killed. Murdered by her own family. He knew that the same thing would happen to him, if her family would ever see him again. You have to know that in Afghanistan family is extremely important. Who you are is not so much defined by you as an individual, but you as a member of your family. This meant that a threat against my brother was a threat against me and every single member of my family. We all knew that if we ever wanted to live a life without fear again, we would have to leave our home behind and flee. 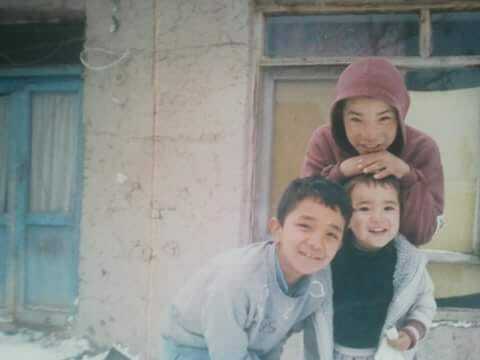 My brother and me fled to Iran. Unlike when I came to Germany, I was able to speak the native language there, and was hoping for a safe and peaceful life. However, that was not the case. Several times my brother and I were victimised and beaten up on the street. Eventually the police found us and sent us back to Afghanistan. So I was sent back to Afghanistan. My home, which couldn’t offer me a safe future. Sometimes I wonder how my future in Afghanistan would look like. The answer is: I have no idea. Before I came to Germany, I didn’t even know what goals were. The living conditions there don’t allow people to have goals or even think about them. No day is like the next, you never know what is going to happen, nothing is certain. Under circumstances like that you don’t occupy your mind with “peripheral” things like future career plans. The only goal I’ve ever had – and actually still have – is to live safely together with my whole family. Unfortunately, right now we are still separated and split all over the world. My parents for example, are still fleeing, currently living in Turkey. It has been four years since I saw them for the last time. Now, I am living on my own in an orphan house here in Munich. Sometimes I can go see some relatives; my uncle, my brother and some cousins live close by. Others ended up in England, the US or other parts of Germany. I often think about the time when we were still together. I miss those days. Nevertheless, I am happy to be here. Now it’s my biggest goal to stay in Germany and build up an enduring and stable future for myself. Getting an apprenticeship was an important first step for that. It provides the foundation for a well-integrated, long-lasting future in Germany – my future.